The Solomon Islands Electoral Act 2018 has made changes to nomination procedures for candidates contesting election. It requires an intending candidate to return to the constituency where she/he will be contesting in order to personally file his/her nomination. Solomon Islands Electoral Office (SIEC) Chief Electoral Officer, Mose Saitala forewarned intending candidates of the change and urges any intending candidates living in Honiara or in the provincial headquarters to return to the constituency of their choice and personally file their nomination when the nomination period opens. “Those who wish to contest in the 2019 National General Election should by now prepare to return to the constituency they wish to contest in, to prepare for the nomination period,” Saitala said. He said the nomination period is looming therefore it is advisable that those intending to stand as candidates, to return and prepare for the nomination period. Nomination centers in the 50 constituencies will be announced by Friday, 1 February 2019. The Chief Electoral Officer explained that nomination process for the upcoming election will not be the same as past election nominations where nomination application forms are issued. Saitala said candidates and their nominators are advised to provide to the Returning Officer their Voter Identification Numbers for purpose of verification. “Another reason why intending candidates are asked to apply in person is because it is a legal requirement for photos of intending candidates to be taken during the application process. “The ballot paper for the upcoming election will include the facial passport-size photo of the candidate beside his/her name and symbol,” he explained. 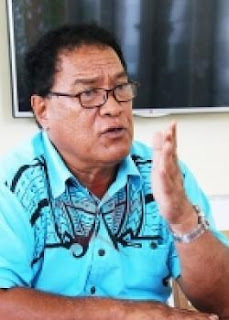 The CEO added that candidates intending to contest in remote constituencies such as the Malaita Outer Islands and those in Temotu Province need to prepare and ensure they are in the constituency by the first week of February when the nomination period commences. Saitala said it is important that intending candidates are aware and adhere to the new requirements to avoid disqualification. The Constitution provides that a person is qualified as a candidate to contest election if he or she is a Solomon Islands Citizen, 21 years and above, and a registered voter. b) Provide a certificate from his/her party executive allowing him/her to use an alternative symbol if she or he wishes to use a symbol other than the party symbol. (Returning Officers are not allowed to reserve any symbol for a candidate. A symbol will be issued on ‘first come bases’). iv) Provides a non-refundable fee of $5,000 (US$626). Meanwhile, Solomon Islands Electoral Commission (SIEC) Returning Officers and Election Managers must uphold to the high standard of their duties when carrying their roles and responsibilities in the upcoming elections. Chief Electoral Officer, Mose Saitala highlighted this when he officially opened the three days training for the Returning Officers, Election Managers and Accountant officers for each province. He said it is important that they must recognise the values and principles underpinning good electoral practice. “You need to recognise the values such as Integrity, Impartiality, Transparency, Fairness, Accuracy and Respect for the Law. And I‘m sure as part of your training and your own beliefs, values will be discussed and focussed on as part of good electoral practice,” he said. He said just recently, during the Public Enquiry phase, a Revising Officer and his team were removed for failing to conduct themselves to the standard required of them as senior electoral officials in the province. “With these good election governance values, it is important therefore that I emphasise to you the importance of your roles and accountabilities that come with it. “I fully trust your experience and your integrity but it is important that I remind you SIEC expects all of you to conduct yourself to certain standards, and as your appointing authority I will have to exercise that authority of it is absolutely necessary,” he added. Saitala said as accountant officers also participated, it is important that accountability in terms of funds that will be transferred to each of the provinces must also be noted. “As members of your local community, it will be important to involve all your community by engaging with them and providing awareness of the national election and all aspects including nominations and voting. “You are our leaders in the field and set the standard for your staff as leaders and role models. It is important that you are acting responsibly and setting that tone for all your staff so that they can follow,” he added.